The 11th edition of Poultry India 2017 was a curtain raiser to show case the entry of Ceva vaccines in India. Poultry India has been the biggest poultry show of South Asia having more than 350 international and domestic exhibitors and with a footfall of over 30 000. 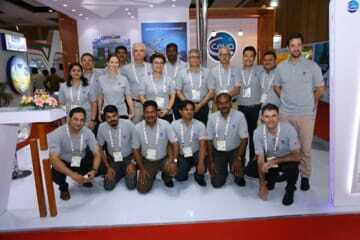 Ceva Polchem booth was full of enthusiasm marked by the presence of Ceva participants from Libourne headquarter, Ecat-iD, Malaysia along with Indian team. Two important Ceva vaccines namely Transmune IBD and Vectormune ND proved to be eye catchers for visitors coming from all parts of India and neighboring countries like Sri Lanka, Bangladesh & Nepal. Strategic customers like CP India and Japfa India visited the booth with keen interest and almost all key customers from India paid visit to the booth. Desvac Dovac machine on display attracted many small and medium scale broiler integrators from India. Broiler placement of more than 3 billion per annum with CAGR of over 8%, India offers innumerable opportunities for Ceva vaccines. 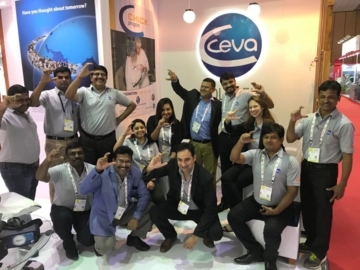 Ceva Polchem team looks forward to make a clear difference in Indian subcontinent by way of effective ND-IBD control among broilers employing novel C.H.I.C.K program of hatchery vaccinations. Ceva Polchem’s flagship bioemulsifier, Liposorb was also on display to give a strong reminder to broiler integrators and feed millers.